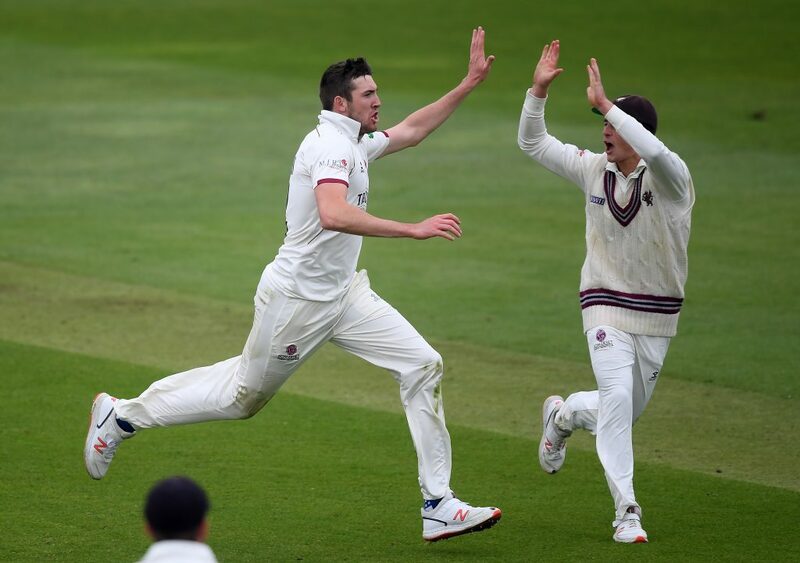 George Bartlett and Craig Overton shared an impressive partnership to give Somerset hope of a victory in this Specsavers County Championship match against Kent at the Cooper Associates County Ground. By the close of play on a day of fluctuating fortunes, the home side were 171 for seven in their second innings, leading by 133. In a match yet to feature a half-century from any batsman, Steve Davies (39) and Tom Abell (30) gave Somerset a foundation before Bartlett (35 not out) and Overton (27 not out) counter-attacked with an unbroken stand of 60. 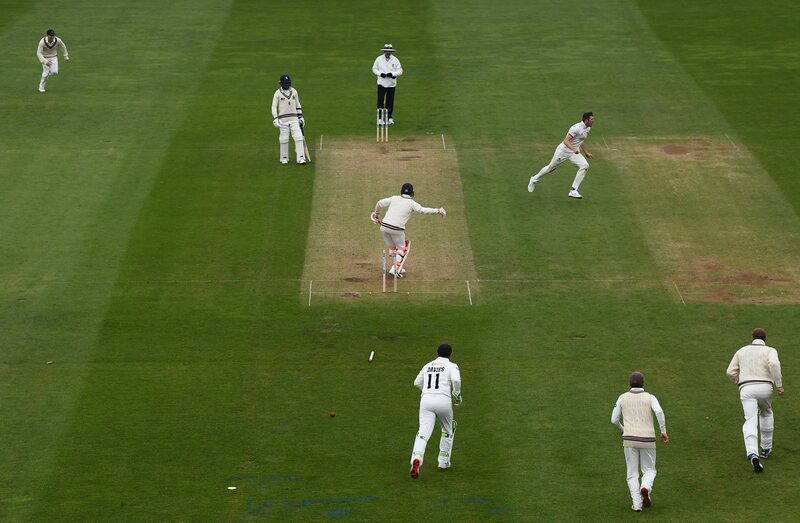 The day began with Kent on 84 for two in their first innings in reply to 171. They found the going tough against a spirited home attack. It was 172 for seven at lunch and the afternoon session saw the addition of just 37 runs before Kent were bowled out for 209, a lead of 38. Somerset had slipped to 32 for four when Eddie Byrom, on 14, edged Milnes to diving wicketkeeper Ollie Robinson. However, Davies and Abell added 58 with reasonable comfort before both departing. 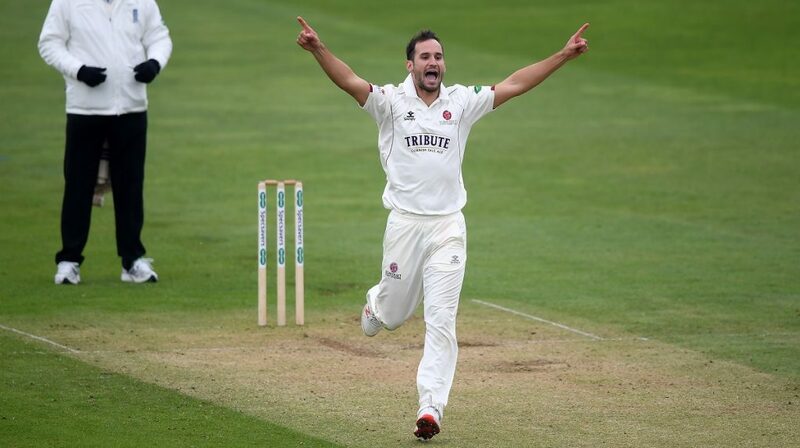 Abell was caught behind off a flashing drive to give Claydon his first wicket of the innings and the experienced paceman then bowled Davies off an inside edge to leave Somerset on 103 for six, a lead of 65. When Gregory was bowled pushing forward to Claydon it seemed Kent had broken the back of the Somerset batting. However, Bartlett and Overton had other ideas. They added 60 in entertaining fashion to set up a grandstand finish on the fourth and final day. At the close of play Somerset Captain, Tom Abell said: “We bowled really well today, but unfortunately we’ve still given ourselves a lot of work to do. “George and Craig have kept us in the game with their stand at the end of the day, and we need to build on that tomorrow. Last season we managed to dig ourselves out of some tough positions and I’m looking for the same here.